Heat reflective paint can help insulate your house, and save more than 20% on your heating (or cooling) bills. It also adds comfort, as the house more easily keeps its temperature in the human comfort zone (68" fahrenheit). But it can also drastically improve moisture problems, and reduce ambient noise. 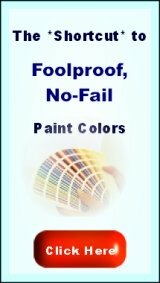 It's available as a primer, but also as a dry powder-form paint additive that turns regular paints into a heat-reflective paint. A house looses a lot of energy via the roof, ceilings and walls. This loss of heat (or coolness) can be significantly reduced by heat-reflective paint. The paint reflects the heat back to its source, functioning like a barrier. So, when you live in a hot area, it's best to use it on the exterior walls and roof, and when you live in a cold area, it's best to use it indoors (walls and ceilings). Used indoors, it also insulates ambient noise, and regulates moisture (great for bathrooms!). 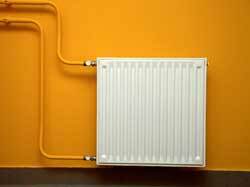 About the energy bills: reports show a lowering of energy costs of more than 20%, sometimes up to 40%. The insulating component consists of ceramic microspheres, that reflect the heat back to its source - preventing it from going into the walls, to further escape from there. 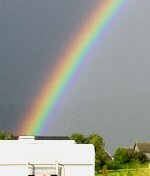 Scroll down for a link to infra-red pics of insulated wall areas. With heat reflective paint, the house temperature will keep more stable - around the human comfort zone of 68 fahrenheit. But it also deals with moisture problems. Clients report condensation lessening with 90%, or mildew leaving the bathroom. Other insulation methods can make moisture problems even worse (causing more condensation). But heat reflective paint works the opposite way. It's probably because of the ceramic component, loam has the same effect in a bathroom. Click here to read some customer reviews and find out more about it, and here to see infra-red pictures on which the effects of this paint can be seen. For redoing older paint work, this dry heat reflective paint additive is the most cost-effective option. 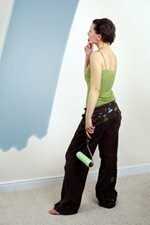 One unit of powder, to make a regular house paint heat-reflective, is enough for one gallon of paint, and it costs 19,95 dollars. 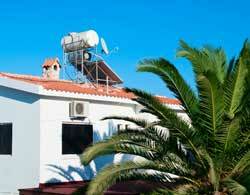 This investment will give you a substantial saving on your energy bills, and a better house climate. It can be added to all kinds of paint, also to primers (in the color of your choice), it doesn't affect the chemical features of the paint. It does alter the sheen: it will become one step more flat (some report a suede-like effect). Darker colors become one hue lighter, and white colors become even brighter by the additive. Also the volume will increase (with 20%), so you'll need a bigger bucket for mixing and stirring. The paint layer will also be a little thicker. 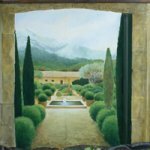 After painting, it's best to let it harden out before touching it (3 days), or painting it over (24 hours). 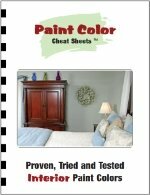 Also check these pages on interior painting techniques and primer paints, to see what kind of paint you need for the surface you're going to paint on. The paints are all low-voc acrylic paints. For maximum results, it's best to use the heat-reflective component in two layers (primer and top-coat, or two top coats). If you'll do only one coat, let it be the top coat - then it will be most effective. There are two kinds of heat reflective primers: a grey aluminum-ceramic undercoater, and a white interior primer paint. The grey one is for extra insulating: under the roof, and on walls (in- and exterior). When you'll paint new drywall, for maximum results you can paint it first with grey heat-barrier primer, and then one or two layers of color with the dry ceramic insulating additive. Using this primer is most effective when the upper layers have the reflective component as well, whien painted over with non-insulating paint, the insulating effect will slightly decrease. Click here for more on primer paints, the dry additive can be added to each of those as well. On oil-based paint, use a poly-urethane, alkyd or shellac paint, and manually add the ceramic microspere powder. Look out with shellac, it might dry even faster with the powder in it. On new drywall, you might do the full package (grey aluminum-ceramic heat barrier, then 2 colored acrylic-latex layers), or add the ceramic powder to a color-matched drywall primer. Over wallpaper, consider using a drywall primer with the heat-reflective powder added to it. When adding the powder to the paint, you need a bigger bucket (your paint will increase volume by 20%), and a sieve through which you add the powder. For stirring, a stick will do, but it's hard work. There are also stirring tools, to mount on a drilling machine, that make the work easier. Stir it well (manually: 5 minutes), and also stir in between while you paint. The powder is heavy and sinks to the bottom, stirring will keep it afloat. 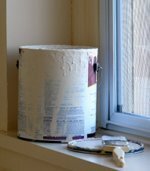 For effective insulation, do two coats of paint that contain the heat-reflective paint additive. Both ready-made heat reflective paint, and regular paints with an additive, can be used in any way: with brushes, rollers and spraying equipment. If you use a paint sprayer, remove all the filters to allow the powder additive to move freely through the machine. Paint rollers will also give an smooth result. Don't forget to stir the paint every now and then, to keep the particles from sinking to the bottom, and allow layers to dry for 24 hours before painting them over. The paint film will be thicker, and more tender at first. Not only heat is reduced by the paints discussed here: also moisture problems in the bathroom seem to be helped much by this product. It probably works a bit like loam, which is also very good for moisture regulation. 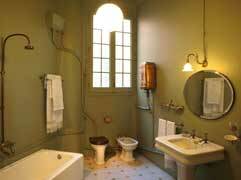 With loam walls in the bathroom, your mirrors will be clean always. Click here to read some customer reviews and find out more about it. 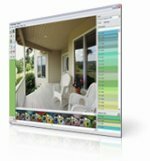 Click here to see infra-red pictures on which the effects of this paint can be seen.